We have ZERO TOLERANCE for sexism, racism, sizeism, ageism, ableism, classism, homophobia, transphobia/transsexism, or anything else that targets individuals. We reserve the right to remove users and/or comments/posts/threads with no warning or explanation. We recognize that sometimes a comment may be meant in jest, or is written to intend satire or sarcasm. However, these tones sometimes translate poorly through digital mediums such as an app, so please consider your audience and their situation before you post.  Lastly: Bunz is a place to meet new people, but it is not a dating app. Do not send sexually suggestive messages through the platform, and do not try to 'pick up' other users via chat.